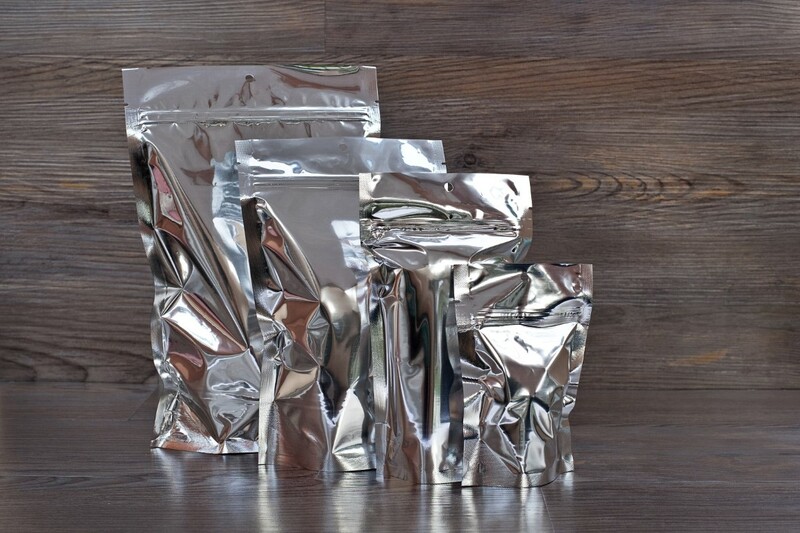 Our high quality opaque silver metalized Mylar bag and stand-up pouch make great display packaging and of the highest quality. As with all our bags and pouches, these pouches come with a great top lip for heat sealing, and feature multilayer construction making it durable, smell proof, and moisture controlled. Mercury is Metalized Mylar at its best. Metalized PET with a FDA LLDPE interior liner. It is opaque silver and provides a excellent barrier with that classic “mylar” feel.